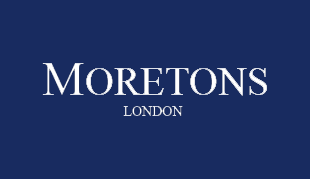 This privacy notice explains how and why Moretons Property Services Limited processes [collects, uses, stores and shares] your information in accordance with our obligations and your rights under the General Data Protection Regulation [“GDPR”]. Consent from your mortgage provider, where relevant, to enter into a Tenancy Agreement. We will not ask anyone for any information about you without your permission. We are obliged by immigration and anti-money laundering legislation to make certain enquiries as to your identity, immigration status and financial situation. You may at any point object to providing any of this information, but it may affect our willingness or ability to enter into an agreement. We will need to collect all of the above information before we are able to act in any way as your agent. Your name and current address must be included in any Tenancy Agreement. We may in certain cases share details with our professional advisers [legal and financial]. We will try to do this on an anonymous basis where possible, but it may not always be possible. We may share your contact details with authorised maintenance, cleaning and inventory contractors to provide you with as efficient a service as possible. We may also share your full name with authorised maintenance, cleaning and inventory contractors to issue an invoice for service provided. We WILL NOT share your information with anyone for marketing purposes. You should only give us personal data about someone else with their permission. Where you provide us with personal data about someone else, or someone discloses to us personal data about you, it may be added to the personal data we already hold and may be used in the ways described in this Privacy Notice. We will hold your personal data while you are a client and for six years after our last contact with you in order to comply with legislation regarding financial matters and those of civil liability. Please note that there is an annual fee of £35.00 for the registration and only one person needs to register where the property is held in two names. If your property/properties are held in a company name, that company would need to be registered instead. We may change this privacy notice from time to time and when we do we will inform you.